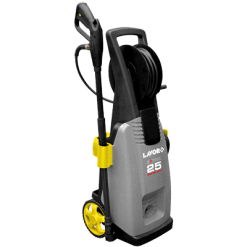 The Lavor VERTIGO20 high pressure washer is a medium duty, domestic grade cold water pressure washer. The machine comes equipped with a 2.3KW durable induction 240V electric motor. 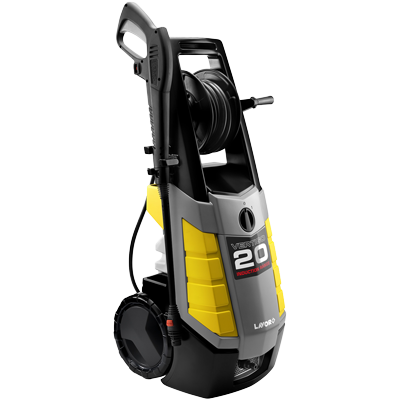 This offers the home user or light tradesman a machine delivering 6.7 litres of water at 2310 PSI. 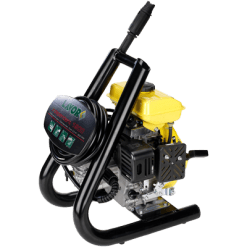 This pressure cleaner has stainless steel pistons, an alloy pump head and an auto stop function. 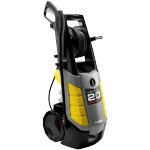 In addition, the accessories include an onboard detergent tank, a vario spray lance, a Turbo lance and an 8 metre nylon reinforced high pressure hose on a wind up hose reel. 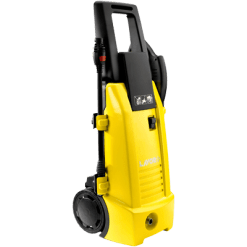 This pressure washer is ideal for a light use Tradesman wanting a machine which is a bit better than your plastic pump domestic units.